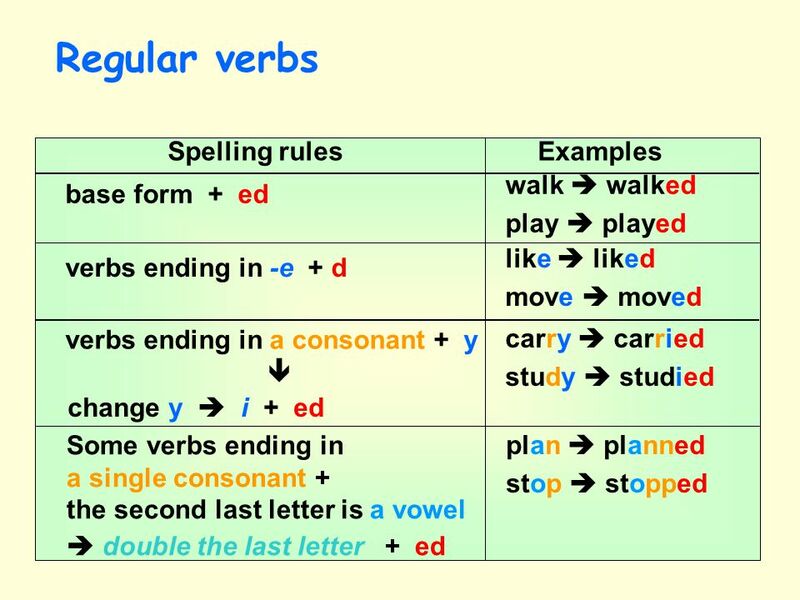 Most English verbs are regular. The past tense and the past participle of all regular verbs end in -ed. Work (base/infinitive form of the verb) – I work in Boston. Worked (past tense) – Yesterday I worked in Boston. Worked (past participle) – I have worked in Boston for three years. Here’s a long list of 600 common regular English verbs. For all of these verbs, the past tense form (and the past participle) ends with the letters “ed“. 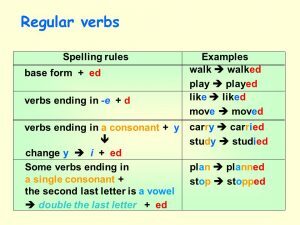 Here is more detail for the spelling rules for regular verbs.